Pur-Shjo, Poo-Shjo, Pyu-Jo, Pij-Yo, Poo-Yo, Pur-Yo,Pyu-Jit, Pur-Zhoh, Purr-Zhoh, Pyu-Zhoh, Puo-Shjo, Pi-Git, Pee-Goot, Pee-Shjo, Pyu-Zhoh. PyuZhoh, Pyu-Git, Pe-Zhoo, Poo-Go, Pyu-Guu, Pu-Zhu, Pi-Gi, Pi-Gyu, Iv herd Sooo damned many translations to this name, British, Jamaican, Latin, American, German, Australian, French, Italian, Canadian, Austrian, Belgiun, Dutch, I have no idea how to prounounce it correctly myself anymore, so many different pronunciations from this company. is There ONE DIFINITIVE way to CORRECTLY Pronouce Peugeot or what? Shite! That is perfect that we can receive the credit loans moreover, it opens completely new chances. Lots of specialists argue that home loans help a lot of people to live the way they want, because they can feel free to buy needed goods. Moreover, a lot of banks offer collateral loan for young and old people. The engine is an evolution of peugeots 1600 GTi engines of yesteryear. With BMW input for the dual Vanos style VVT. Couple that with Direct Injection and superb turbo charging and its no wonder that the engine is so highly acclaimed. what does this car have? the TT is stick together in Gyoer Hungary but the chassies and most parts are pre mounted and painted delivered from the Audi plant in Ingolstadt. Please, stop saying that BMW made the engine, it\'s wrong. They shared the development cost with PSA and then they don\'t have to create manufactories to build them. THP engine is assembled in Douvrin (FRANCE) and BMW get all the 4 cyl turbo experience from PSA, remember how many WRC titles they won !!!!! Oops, you meant the FWD TT. My bad. Did automovil test the FWD TT? Not according to Inta\'s result (see previous post). It says that both have the same 0-400 and 0-1000 time. 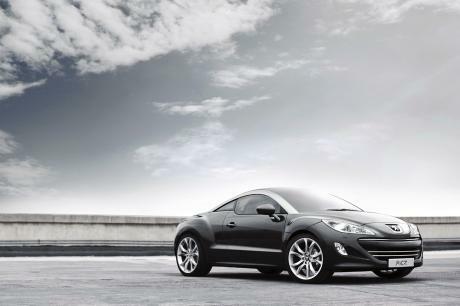 Granted, the RCZ cheats a bit by having more power on wheel than peugeot said it would have, but still, the TT is more powerful and has 4WD traction, yet the RCZ still manages to match the TT in acceleration and INTA lap times. How do you explain that? How can a TT be way better than this? BMW developed engine with available up to 212hp with peugeot sports/john cooper works kit. Leather stitched dashboard. Great design, which i think is much much better than a TT. Better price. Almost exactly the same performance values. It is a lot quicker in the straight and on the track..
2.1s 0-160km/h different are many car length... in a sprint from 0-160km/h the TT would lead by about 40m ...thats not even in the same class..
Heyyy, Faster than An S3 at Hockenheim!, not bad att all! 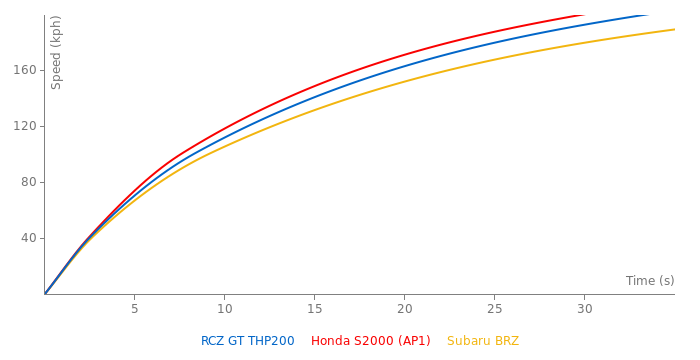 Well, I guess it's clear now, RCZ is faster than TT, on track, in standing start acceleration, and in braking, and the TT is the more powerful one! Keep up the good work, PSA! 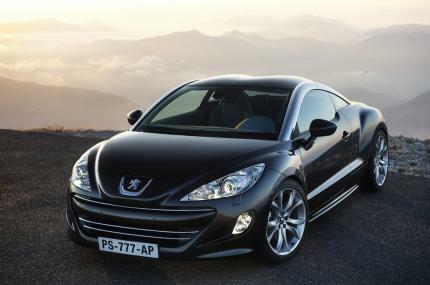 officel confirmed Peugeot join the 2010 24h northloop race with two diesel powered RCZ..
good looking race car.. more details get published at the AMI in Leipzig at the 9. April..
Peugeot has no real sportcar, they concentrate on payable low consuption low emission cars, for them it is enough to show up in WRC Rally teach everyone a leasson about grip and go (won 9 WRC worldchampionships driver/manufactor) and leave the WRC after one or two successfull years. It actually looks really good, but i thought it was gonna be a Nissan 370Z fighter? too bad it only has 200hp, i would liked to see have atleast 270hp, anyword on price? O, and this does 0-100kmh in 7.2s. Audi TT is way better than this. Only the engines are good, but they were developed by BMW.